on super bowl sunday, we really enjoyed the oreo truffles that we made for dessert (in the shape of little footballs). 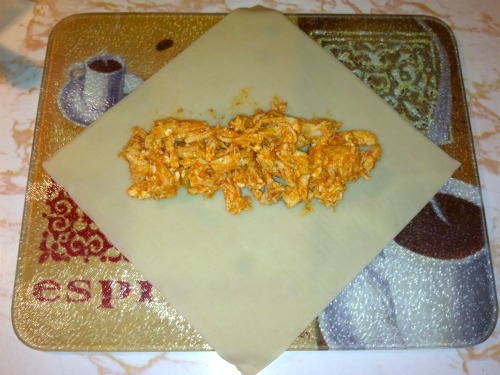 we also enjoyed the buffalo chicken rolls that we made for dinner. 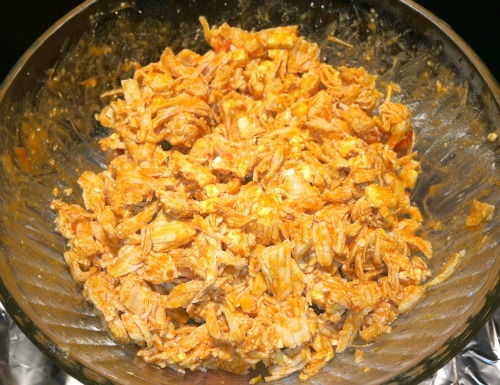 buffalo chicken wings are the quintessential football snack food, so we couldn't imagine the super bowl without some variation of buffalo chicken. 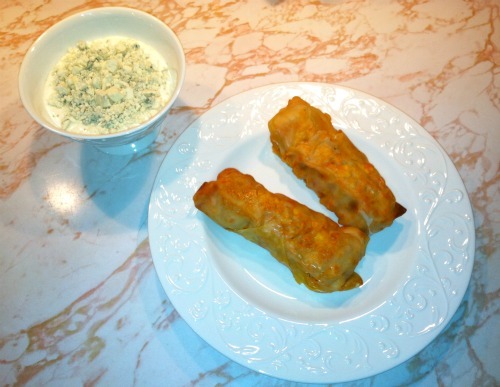 we made our buffalo chicken rolls based on this recipe with two small changes: first, we added sauteed garlic to our hot sauce, and second, we omitted the cole slaw from the rolls. 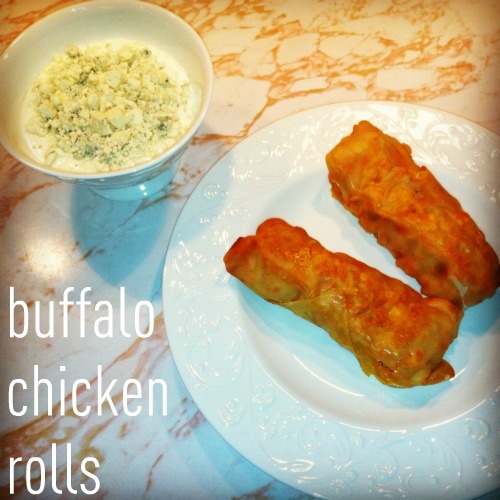 these buffalo chicken rolls turned out to be amazing. they were especially good when dipped in blue cheese. we definitely plan on making then again! combine the chicken, hot sauce, and blue cheese crumbles. 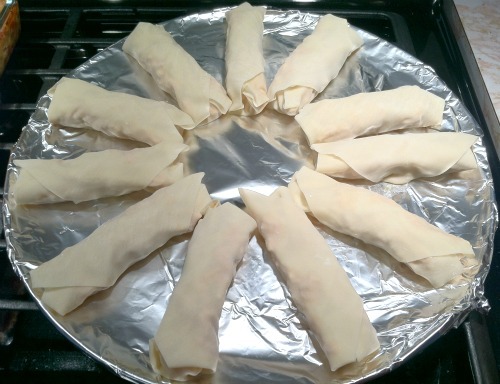 place a few spoonfuls of the chicken mixture on the egg roll wrapper. 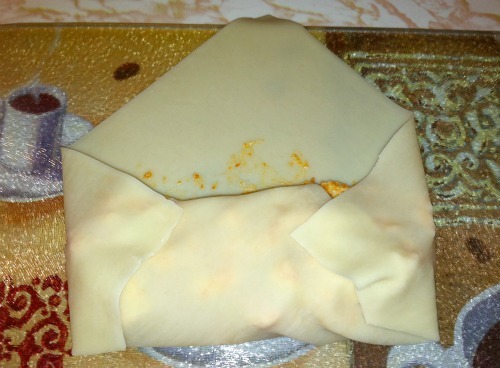 then fold the two sides into the center. secure the top flap with a dab of water. and bake at 400 degrees F for about 15 minutes. Wow, that looks yummy too. I need to take a week off work so i can have time to make all your wonderful recipes! !